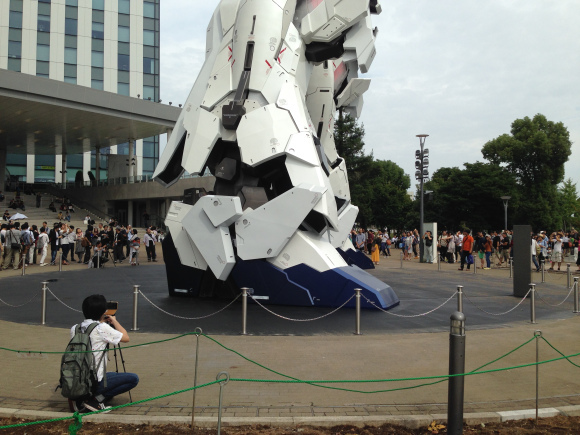 Six months ago in Tokyo’s Odaiba neighbourhood the full sized Gundam model that had been drawing travellers and fans to the area was dismantled but last Sunday a newer and bigger version was erected to re-ignite fans excitement. 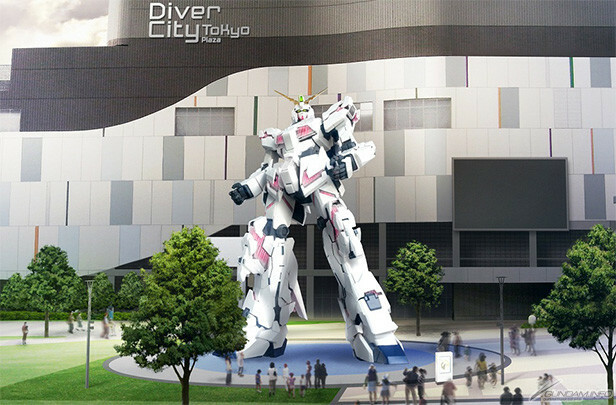 Based on the RX-0 Unicorn Gundam (from Gundam Unicorn, the most recent Gundam anime set within the franchise’s original Universal Century timeline), the 1:1-scale replica is 19.7 meters (64.6 feet) tall, 1.7 meters taller than its predecessor statue of the old-school RX-78-2 Gundam. 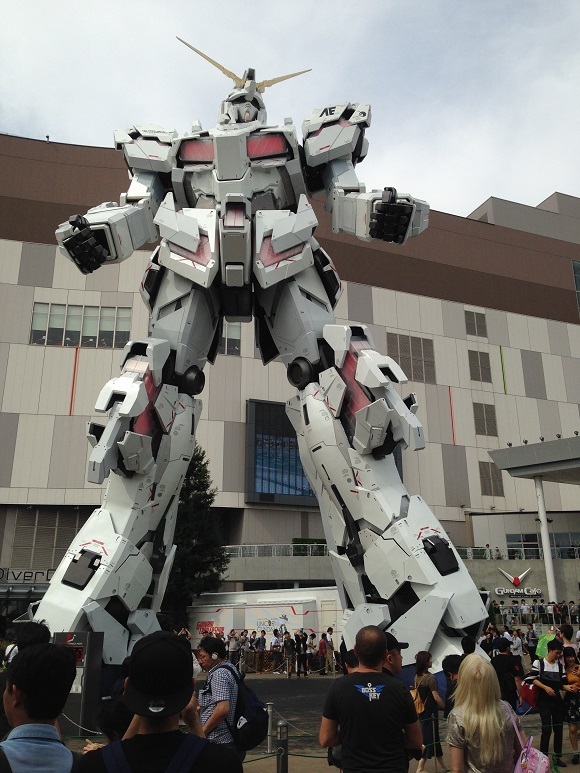 The Unicorn also feels bigger thanks to the chunkier armour plating on its arms, shoulders, and legs. As mentioned above, the RX-78-2 was designed for the very first Gundam TV series from the late 1970s, which meant it had to be animated entirely by hand and thus needed to keep its lines simple. Gundam Unicorn, on the other hand, was a lavish production that began in 2010, and having computer graphics as a visual option lets the RX-0 have a much more complex form. 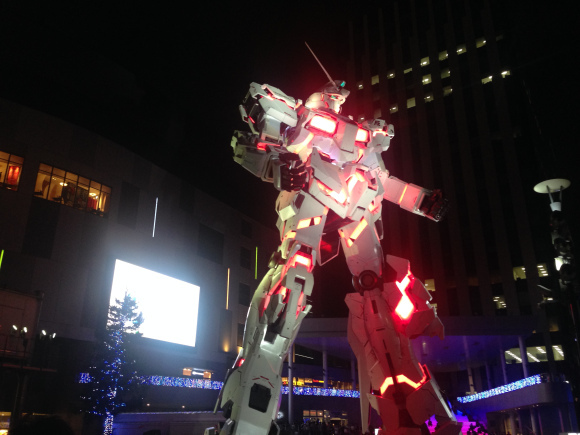 The model features illuminated panels and lights as well as transforming between fight modes at certain intervals throughout the day lighting up the surrounding area.